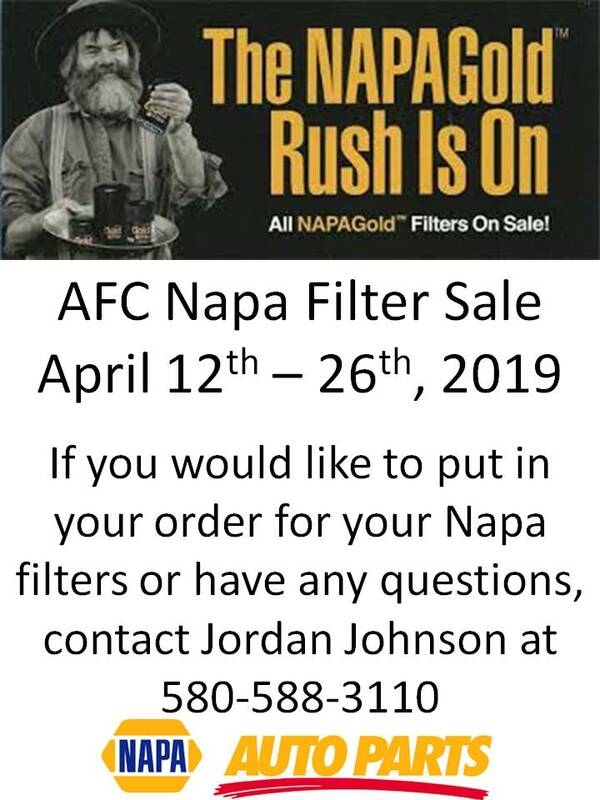 Effective Immediately the AFC NAPA store will no longer place special orders without pre-payment. Due to market volatility all grain contracts are executed during trading hours only, 8:30 am until 1:00 pm Monday thru Friday. 2019 New Crop (NC) contracts for wheat, corn, milo and soybeans are in 1000 bu to 5000 bu increments. All Contracts are by offer only. These quotes are all on a 15 minute delay. Tina Johnson @ 405-643-2177 for instant quote. Currently we purchase grain between 8:30 am and 1:00 pm. during the grain trading hours. As always, offers can be turned in any time and CEA will get them working as soon as possible.